Commercial auto insurance protects your business from legal claims of bodily injury or property damage that occur during the operation of a company vehicle, or when using a personal vehicle for business reasons. This insurance can pay for repairs, medical expenses, and legal fees that personal auto insurance won’t cover. Driving can be essential to a small business. You might use a company vehicle or your personal vehicle to transport supplies, meet clients, or run errands. In these cases, it’s essential to purchase commercial auto insurance. In most cases, a personal car insurance policy won’t cover accidents that occur when you’re driving a vehicle for business purposes. Commercial auto insurance is a type of small business insurance that can pay to repair damages to your vehicle or other vehicles when you’re involved in an accident. This is also a form of liability insurance, which can pay for medical expenses and legal fees if another driver sues you. Find out how commercial car insurance works, what’s covered and what’s not, how much it costs, and where to buy commercial auto coverage. Commercial auto insurance, also known as business auto insurance, covers trucks, vans, and other vehicles that you use for business purposes. This coverage can be used to cover losses if your vehicle is stolen, vandalized, or in a collision. Not only is commercial auto coverage helpful, but it is also legally required in nearly every state except New Hampshire and Virginia. In those states, you need to be able to show that you have enough money, through insurance or on your own, to pay for damages if you cause an accident. The minimum coverage requirements for commercial car insurance vary by state, but are generally at least the same as personal car insurance requirements. If you regularly transport passengers or carry cargo, then your insurance requirements could be higher. If any of these situations apply to you, your personal auto insurance policy won’t provide enough coverage. Is My Personal Car Insurance Enough? When an insurance company issues a personal auto policy, they don’t agree to take on the additional risk that comes with driving a vehicle for commercial reasons. If you get into an accident while driving for business and only have a personal auto policy, most likely your insurer will not cover the damages. They might even cancel your policy if you make a claim related to business use of a vehicle. Unfortunately, in some cases, the line between what’s covered by commercial car insurance and personal car insurance is blurry. You need commercial car insurance if you have a company-owned car or regularly use your personal car for business reasons. On the other hand, if you’re just commuting to your office or business location or meeting a business partner for lunch, your personal auto policy might cover that. Here are some examples of when you need commercial auto insurance and when your personal policy will suffice. Note that it doesn’t matter if you own, lease, or rent the vehicle. The reason you’re using the vehicle is what matters. If the commercial use isn’t clear, it’s worth checking with your personal auto insurance company first before buying commercial auto insurance. They might be able to modify your personal policy to cover a limited subset of business uses. Is a General Liability Policy Enough? You might already have general liability insurance or professional liability insurance for your business. But standard liability policies don’t cover you when you’re driving for business. You either have to buy separate commercial auto coverage, or if your insurer allows it, add on auto coverage to your general liability or professional liability policy. You probably understand by now that commercial auto insurance has extra coverage to cover the gaps in a personal auto policy. But commercial car insurance is more than a stop gap solution. Auto liability: Pays for property damage or bodily injury that you cause to other people or property while operating a vehicle. Medical payments: Covers medical expenses for you and any of your passengers that are injured in a car accident, even if you are at fault. Uninsured and underinsured motorist coverage: This pays for damage to your vehicle or medical bills if a hit-and-run driver or somebody who doesn’t have insurance (or has insurance below state minimums) hits your vehicle. Physical damage coverage: Pays for repairs if your vehicle is stolen or damaged by vandalism, certain weather events, or collisions with an animal. Sometimes, this is called comprehensive coverage. Collision coverage: This covers damage to your vehicle from a car accident or collision with another object, such as a tree. This coverage also applies if your vehicles overturns or gets totaled. Roadside assistance: If an insured vehicle breaks down, you’ll need this coverage for towing, repairs, or other assistance to get the vehicle back in service. Rental reimbursement: If you need to rent a vehicle while your regular vehicle is out of service, many commercial auto policies will cover the rental costs. The insurance should cover you, business partners, and employees who are legally authorized to drive and are operating the vehicle with your permission. Keep in mind that not all of the coverages listed above are included in every commercial auto insurance policy. For example, if you want collision coverage and medical payments coverage, that might be an additional cost on top of your base premium. Similarly, some states require uninsured motorist coverage, but it’s optional in others. These variables could affect your cost. What’s Not Covered by Commercial Auto Insurance? Commercial auto insurance offers essential protection when driving for business reasons. However, there are a few specific things that aren’t covered. Commercial car insurance covers your vehicle, but typically not what’s inside. To cover business property in transit, you’ll need separate commercial property insurance or inland marine insurance. Rideshare insurance for Uber and Lyft drivers is typically less expensive than full-blown commercial auto insurance, but it’s not available in every state. Geico, State Farm, and Farmer’s Insurance are among those that offer rideshare insurance, on top of the limited coverage that Uber and Lyft already provide. If you’re in a state where rideshare coverage isn’t available, then you’ll have to buy a commercial policy. New York requires rideshare drivers to have standard commercial car insurance. In many companies, especially those with commision-based sales teams, it’s common for team members to drive rental or personal vehicles for business. Standard commercial auto insurance does not apply here. In these situations, you’ll need a hired and non-owned auto policy. This coverage is often available as an add-on to a commercial auto policy or general liability policy. Cost of Commercial Auto Insurance: Is Cheap Commercial Auto Insurance Available? Commercial auto insurance typically costs more than personal auto insurance. A survey by InsuranceTrak found that the average annual cost of a commercial auto policy was $1,982 in 2017. The cost went down to $1,134 for businesses that insured just one vehicle. Trucks and vehicles for hire, such as taxis and limousines, typically cost more than average to insure. Tom Santamorena, a risk and insurance advisor with over 20 years of experience, says that there are proactive steps small business owners can take to lower the costs of commercial auto insurance. Every state that requires driver to carry auto insurance has minimum coverage requirements. However, most drivers should buy more insurance than the minimum. The average cost of a commercial auto accident averages around $45,000, so it’s not a good idea to focus only on getting cheap commercial auto insurance. You need enough coverage to comfortably cover your costs and give you peace of mind should you or a member of your team be involved in an accident. When buying commercial auto insurance, the first steps are to determine how much and what type of coverage you need. If you only occasionally use your personal vehicle for business purposes, you might be fine with expanded personal auto coverage, and should contact your personal auto insurance company. If you only use rental vehicles, then hired auto coverage is what you’ll need. If employees regularly use their personal vehicles for business reasons, then non-owned auto coverage is essential. No matter what specific type of auto coverage you need, always work with an A or higher rated insurance company. Global credit firm A.M. Best rates insurance companies on their financial strength. The higher the rating, the more likely it is that the insurer will be able to pay you for any covered claims. Next Insurance was founded in 2016, but they’re already making waves in the world of small business insurance. They currently sell three types of insurance, one of which is commercial auto insurance. Next Insurance has online self-service from end to end: You can apply for a quote, purchase your policy, and manage your policy from your computer. For commercial auto insurance, Next offers $0 and $500 deductible plans, $50,000 to $1 million of bodily injury and property damage coverage, and optional collision and physical damage coverage. All plans include collision, physical damage, and uninsured/underinsured motorist coverage. These are nice bonuses to have, as they aren’t standard with all insurers. With Next, you’ll know you’re getting good rates on your commercial auto policy. They utilize very few insurance agents and do 90% of their business online, so they have very little overhead. On top of that, all of Next’s insurance policies are A+ rated, and policies are built from the ground up to cater to each small business customer. Progressive is the number one commercial auto insurer in America (in terms of premiums underwritten), according to a 2016 ranking by SNL Financial. 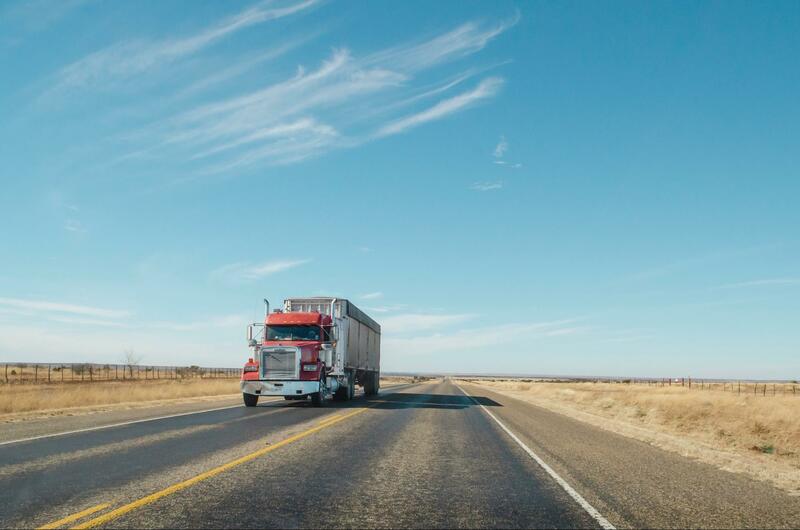 Progressive, which is A+ rated, is especially active in truck insurance, specializing in long-haul trucks, tow trucks, and other specialty trucking risks. There are a few different advantages to a Progressive commercial auto policy, but the biggest are the unlimited travel radius and flex coverage. Most insurers will only cover claims that occur within a certain distance of your business, as specified in the policy agreement. Progressive does away with these limits in most states, and lets you periodically adjust coverage limits based on how often you’re using your vehicles. For example, seasonal businesses might not use their vehicles year-round, and can save money by going with Progressive. Once you get a policy, Progressive offers 24/7 policy service, and their claims adjusters receive commercial auto training. Progressive even offers discounts for certain businesses. For example, you will automatically qualify for a Progressive discount on commercial car insurance if you’ve been in business for at least three years or have had a commercial driver’s license for at least two years. You can purchase a Progressive policy online, by phone, or through an independent agent or broker. Another A+ rated insurer to try for commercial car insurance is The Hartford. The Hartford’s commercial auto coverage comes with basic bodily injury and property damage liability protection, and you can customize it by adding on rental reimbursement, towing coverage, and other options. Some insurers include these as standard, but you might be able to save money with The Hartford if you don’t drive very much for business. For fleet owners, The Hartford’s risk engineering team offers safety training to reduce accidents. As part of their FleetAhead program, they even can use real-time data from devices that are installed in your commercial vehicles to analyze why an accident happened and prevent future ones from occurring. There are also some unique savings opportunities with The Hartford. If your vehicle is damaged by an event that’s covered both by the auto policy and another liability policy, you’ll have to pay only one deductible. And if your vehicle requires glass repair, The Hartford will waive the deductible. The primary downside to the Hartford is that you have to buy the insurance through an independent agent or broker. Though you can get a quote online, there’s no online option to buy. Nationwide Insurance is another A+ rated insurance company that offers customizable commercial auto insurance. You can buy coverage through a Nationwide agent. All policies offer liability, collision, physical damage, and uninsured/underinsured motorist coverage. Beyond that, Nationwide offers several optional add-ons, more that any other insurer we reviewed. These include roadside assistance, new vehicle replacement cost, expanded towing, medical payments, and more. Since Nationwide policies are so customizable, you’ll only pay for coverage that you actually need. They even have a network of pre-screened auto repair shops, and as long as you use one of these facilities, repairs on your commercial vehicle are quality guaranteed. Insureon offers a unique experience when shopping for business insurance. Rather than working directly with an insurance company, you can use Insureon to compare quotes from multiple A-rated insurance companies. In most cases, you can use Insureon’s online platform to get a quote on commercial auto insurance and buy the best policy for your business. 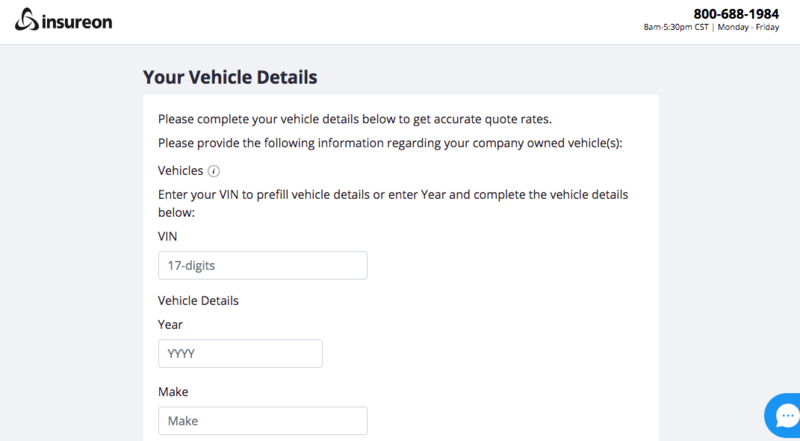 You can also add hired and non-owned auto coverage if you need that. If you need additional help or have a more complex case (e.g. needing to insure a whole fleet of vehicles), Insureon has a team of licensed agents standing by. These agents are industry-trained and ready to help you explore your coverage options. Insureon doesn’t charge any brokerage fees to small business owners. Since you have a dedicated agent ready to help, this makes Insureon a particularly good choice for businesses that have fleets or multiple vehicles to insure. 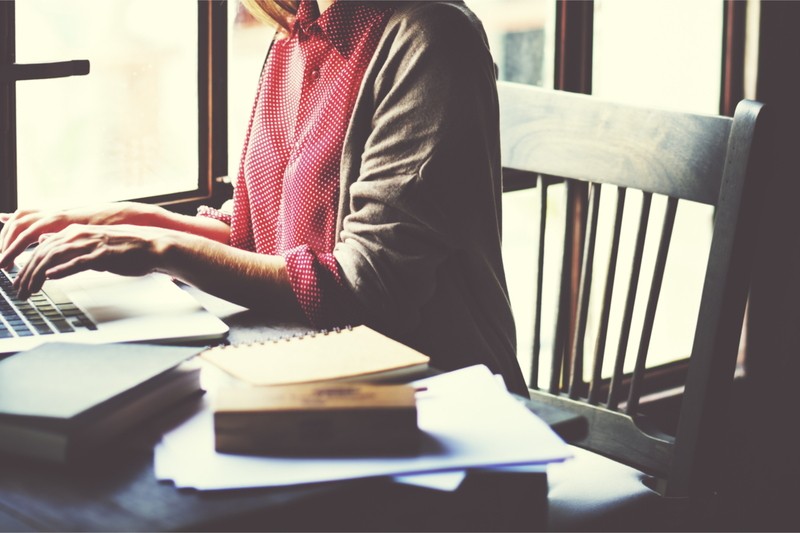 After buying insurance, you can view and manage your policy online. To file a claim, however, you’ll need to directly contact the insurer’s claims department. If you need to insure a whole fleet of vehicles, gathering these details for each one can be tough. In this case, contact the insurance company for guidance on how to proceed. After the expiration of each policy period, be prepared to provide updates on any changed information or new drivers. According to Santamorena, “At the time the insurance company issues the policy, they will check all of your drivers’ driving histories. They will do that again when the policy renews in one year. They do not check while you are adding drivers throughout the year. However, you will want to hire drivers that will be acceptable to the insurance company at the time of renewal.” One way is by doing thorough background checks of anyone who’ll be driving on behalf of your business. Commercial auto insurance is required for small business owners who drive a company vehicle or their personal vehicle for business reasons. Without this coverage, a single accident could be devastating to your business. Fortunately, it’s possible to get this coverage without breaking the bank. Commercial auto insurance only costs a bit more than personal auto coverage. Many insurance companies offer customizable policies, so you only need to buy the coverage that you really need. Plus, there are proactive steps you can take, such as safety trainings and background checks for drivers, to reduce your costs and run a safer, stronger small business.